Reins of HOPE Ventura County Equine therapy and so much more! Empowering clients to improve communication, problem solving skills, build confidence, trust in self, relationships, and improve mental health. Horses have lived on this planet for over 50 million years by being skilled at keeping themselves safe and adept at survival, relying on their herd for protection, while humans have been around only a couple 100,000 years. We can learn so much from horses and the idea of being a herd, protecting and living together as one. In many respects, humans have lost the instinct to keep themselves safe and healthy. 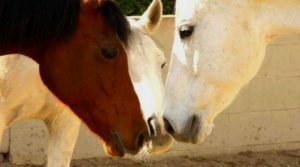 Our therapy entrusts horses to show us the way back to mental health. Donate today and join our Herd of Healers and collectively we will protect those in need of support in our community. Veterans, active duty, first responders, and youth at risk.